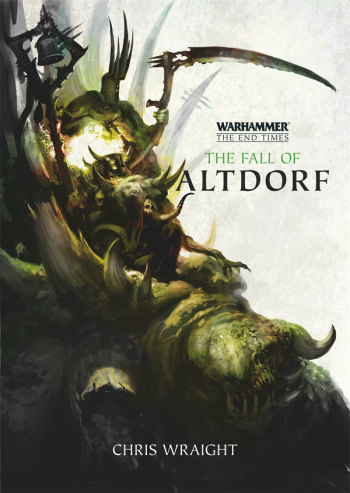 Picking up where The Return of Nagash ended (more-or-less), Chris Wraight’s The Fall of Altdorf is a grand continuation of the End Times series. This is a must-read for Warhammer fans, and perhaps Wraight’s best fantasy novel yet. I very much enjoyed this. A somewhat vague plot summary: Nagash has returned to the Old World, upsetting the magical balance. The Auric Bastion in the north has broken, and the waves of northern barbarians and daemons have spilled into the Empire. The Emperor is missing, as are a few of his greatest generals and heroes. Helborg is left to deal with a reeling Empire and (still) squabbling Elector Counts. An unconventional new Supreme Patriarch rubs everyone the wrong way, but is ultimately quite the hero. Vlad von Carstein marches to Altdorf, with an offer Helborg may not be able to refuse. The hordes of Nurgle rampage across the Empire, and a sinister sleeper cell unleashes hell in the City of the Empire. Oh, and the Bretonnians are running about, trying to lend a hand to the devastated Empire. I’ve enjoyed the “unlikely allies” aspect of the End Times story. At first, I had thought it really didn’t make sense that the Empire and other forces of “good” might ally with the undead, but the authors have actually made it work and (mostly) make sense for the world and events. It’ll certainly be interesting to see what happens by the end of the series. Overall, then: The Fall of Altdorf is not only an essential read in the End Times series, I think it is a must-read for all fans of Warhammer in general. This and Josh Reynold’s first book for the series are among the best Warhammer novels written. This is bold, epic, and very enjoyable. Highly recommended. 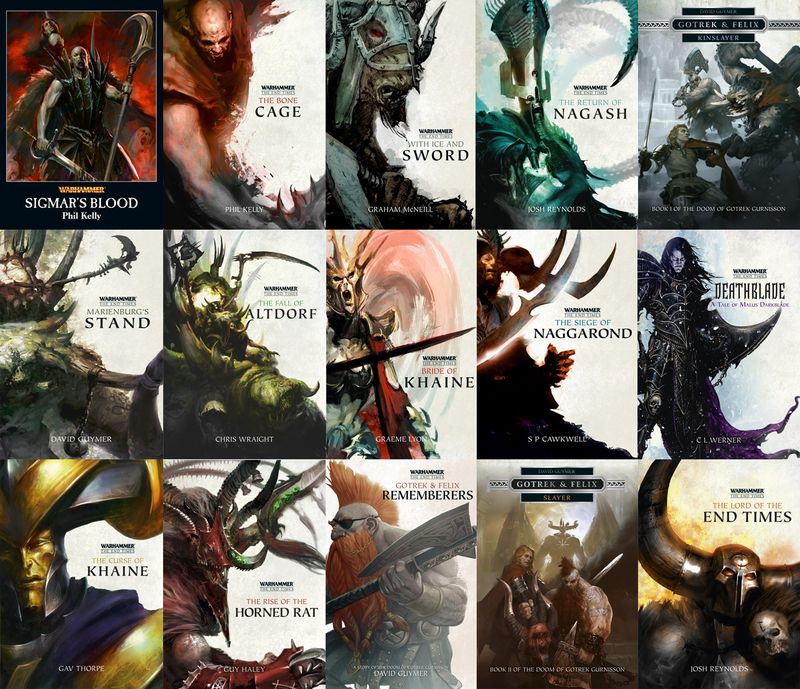 The next two End Times novels — Gav Thorpe’s The Curse of Khaine and Guy Haley’s The Rise of the Horned Rat — take the story away from the front lines that have been detailed in the first two — putting the focus on the various Elf races, dwarves, orcs and shaven. The story then returns to the End Times front line in Josh Reynold’s finale, The Lord of the End Times. I’ve already finished The Curse of Khaine, and I’ll post the review either later this week or early next. Before getting to The Rise of the Horned Rat and The Lord of the End Times, I’ll be reading Dave Guymer’s final Gotrek & Felix novel, Slayer, and also Rob Sanders’s two Archaon origin-story novels.